This week, we're completing our look at Grenache-Syrah-Mourvedre (GSM) wines by looking at the last of the three grapes in this powerful red blend: Mourvedre! In past articles, we've looked at Grenache and Syrah (or Shiraz, as it is now more commonly known), mentioning that these two grapes are often blended with Mourvedre to make a 'GSM' or Grenache-Syrah-Mourvedre blend. So today, we'll be looking at the last of these three grapes and exploring just what makes this red blend so interesting and popular around the wine world. Mourvedre is a warm-climate red grape varietal, traditionally popular in south France (such as in the Rhone, Provence and Languedoc regions) and in Spain, where it is often called Monastrell. It has also recently become more popular in Australia and California, where it sometimes goes by the name of Mataro. In a 'GSM' blend, Shiraz typically adds good tannins and Grenache adds an 'earthy' flavour, while Mourvedre creates good structure and intense fruit, making for a nicely balanced but still approachable blended wine. It is sometimes vinified on its own (mostly in Spain), which creates heady wine with strong flavours and tannins. In France, Mourvedre (alongside Grenache and Syrah) is perhaps best-known for its use in making wines in the prestigious Chateauneuf-du-Pape appellation. Mourvedre can be difficult to grow, with its small, thick-skinned berries susceptible to mildew and sensitive to low winter temperatures. It ripens late and its leaves must be cut often to ensure that the leaf-to-fruit ratio remains low, lest the grapes fail to ripen or produce watery wines. Once the grapes to ripen, winemakers generally have only a short window before it begins to lose it's acidity and develop undesirable prune-like flavours. 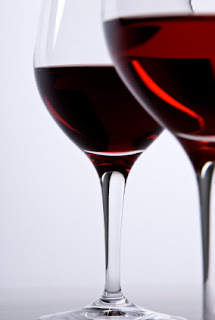 When all goes well, however, Mourvedre can produce excellent, well-structured wines with good tannins and acidity. When it comes to food pairings, Mourvedre wines tend to require intense dishes, such as barbequed ribs or steaks, lamb, game, and veal. It's a great accompaniment to dishes that traditional Provencal spices, such as lavender, rosemary, or thyme. The next time you're getting out the barbecue, give a Grenache-Syrah-Mourvedre wine a try! Flavour Profile: Structured wines with good tannins, fruity flavours and aromas of blackberries.